Dog resting on a green couch with flowers in the foreground. White terrier with brown spots. Living room with comfortable feeling. 4k00:10Dog resting on a green couch with flowers in the foreground. 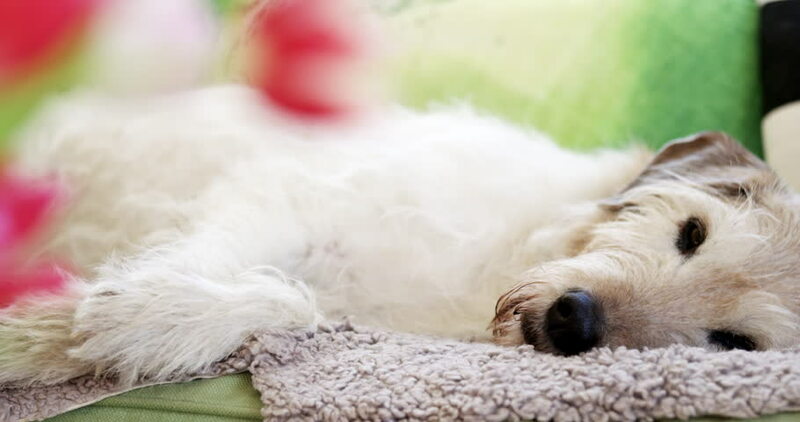 White terrier with brown spots. Living room with comfortable feeling.